In a small bowl, stir together tuna, onion, apple, celery, raisins, and 2 tablespoons of dressing. In another medium bowl, toss together salad greens with remaining dressing. Cut pitas in half to make 4 pita pockets. 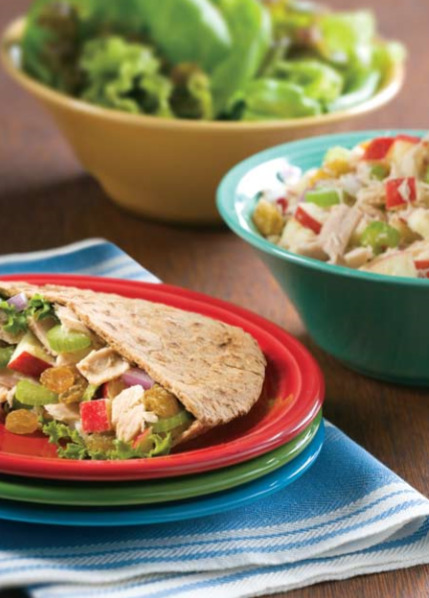 Carefully fill pita pockets with equal amounts of salad greens and tuna salad. Serve.